If you're looking for the best electric toothbrush check out our list below, which recommends brushes by category, and gives a 'best overall' choice, the Pro 2 2500. We're one of the only sites out there dedicated to buying in the latest electric toothbrushes, thoroughly testing and reviewing them, and then making recommendations based on this ongoing experience. You can find out more about us in this video. Every month we reconsider and update our recommendations based on any new brushes we've tested, and any new research completed. We last updated the post in April 2019. Immediately below you can find our brush recommendations, but we've also included links to our supporting content further down the page. You can use the navigation below to jump to the section you're most interested in. The perfect brush. Slim, comfortable to use with a 2 week battery life, it ticks all the boxes for us and comes complete with a travel case for a very reasonable price. If money is no object then this is the one to go for, it's the best Sonicare electric toothbrush and the best in terms of performance, in our opinion. Innovation is packed into this brush, from brush head replacement reminders, to Bluetooth connectivity and in-case USB charging. A refined and premium brushing experience. This is the Oral-B equivalent to the DiamondClean Smart. For us, the real-time tracking features work better on the DiamondClean Smart, but it comes with a much higher price tag. If you want the smart brushing features but don't want to break the bank, the Genius 9000 is a good alternative. Like the DiamondClean Smart it comes with a premium travel case with USB charging. 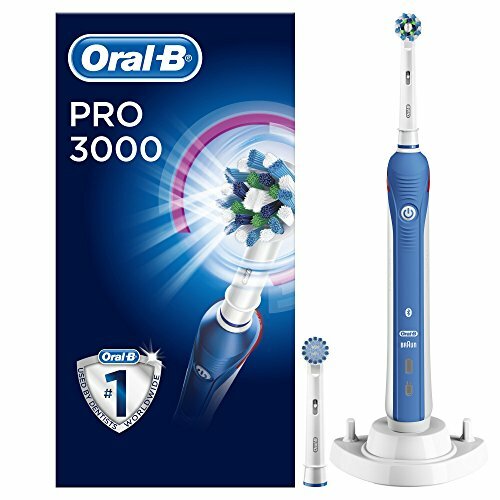 In terms of technical performance this is the best Oral-B brush out there, but the Pro 2 2500 is our overall choice because of its price point. Lightweight with a fantastic battery life, multiple cleaning modes and a decent box contents, you get a considerable amount considering the price asked. That being said, if you prefer to go for better-known brands, our recommendation is the Oral-B Pro 600. Whilst this is a perfectly suitable brush for anyone, we recommend this as the best for receding gums and sensitive teeth because it offers the essential features (and in particular sensitive cleaning mode) for these conditions at a price point that most find acceptable. You get what you need, not lots of unnecessary extras. Read our Best Electric For Receding Gums & Sensitive Teeth article. Superb cleaning performance and style to match, the DiamondClean comes with a travel case that allows you to charge the brush whilst inside. It's worth noting that whilst this brush is great for those with braces, it's also perfectly fine for those without them. Read our Best Electric For Braces article. A small and compact brush complete with a travel case in which it can be charged, this is one of the must haves for those who want to travel light. Read our Best Travel Toothbrush article. Delivered to your door, this is a subscription-based toothbrush service. A stylish toothbrush handle, it is an award winner that comes with regular deliveries of replacement brush heads, requiring with no effort on your part. You can order it directly from the Uber Sonic Website. This is the best kids brush on the market. 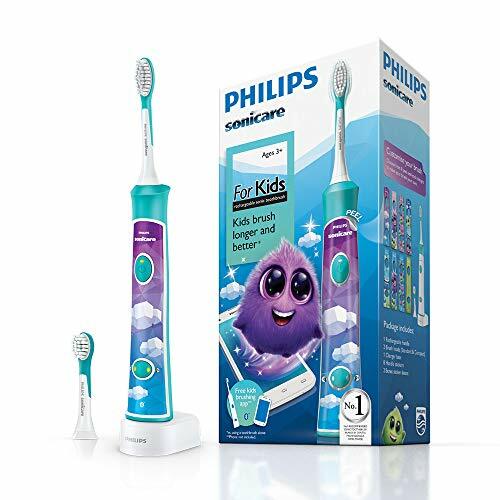 It comes with various stickers so that the brush can be personalised, and the companion app for Android and iOS works very well to encourage kids to brush. It is on the expensive side, though. We do offer some cheaper alternatives in our Best Electric Toothbrush For Kids article. Read our Best Electric Toothbrush For Kids article. Having given our answers above, what follows below is a condensed version of our electric toothbrush buyer's guide. We've tried to provide the information we think you'll find most useful, without getting too bogged down in detail. If you would like even more detail, you can view our full length buyer's guide here. At the top of this page, we've given our recommendations for the best electric toothbrush. Part of the difficulty in answering the question is figuring out exactly what people mean by 'best'; do they mean the best once all factors have been considered, or the best in terms of technology and performance? The pressure sensor, timer and quad-pacer are features we consider worth paying for and they aren't always included with slightly cheaper brushes. We give our thoughts on other features and how important they are in the next section. For those that want truly the best in terms of performance (and if money isn't an issue), we'd recommend the Genius 9000 or the DiamondClean Smart, which also happen to be the best Oral-B electric toothbrush and best Sonicare electric toothbrush respectively. They do offer extra cleaning modes and smart technology, but that comes with a price and for some people it will be overkill. The Pro 2 2500 helps ensure you achieve a thorough clean, removing as much plaque as possible. The built-in timer and pacer encourage you to brush for the right amount of time, evenly across the mouth. The pressure sensor alerts you if you are brushing too hard, which is a cause of gum recession. How important are other features and factors? In the following section, we include our own insight on the other questions you may have when shopping for an electric toothbrush. This is compiled having extensively tested the range of brushes available in the UK. To make things nice and clear we have labelled each with what we consider to be of high, medium and low importance. We cannot stress the importance of a timer enough. Dentists, hygienists, governing and medical bodies around the world are on the whole in unison that brushing your teeth twice a day for 2 minutes is incredibly important. When brushing your teeth, it is all too easy to get distracted, misjudge time and think you have been brushing for longer than you really have. Therefore, a brush with a built-in timer encourages you to brush for the right amount of time. It lets you know when the 2 minutes are up. Then and only then, should you stop brushing. Our number 1 recommended brush, the Pro 2 2500, includes a timer. How important is a quad pacer? A quadpacer is a very useful addition and can seriously impact how well you clean all the teeth in your mouth. During a standard 2 minute clean, a quadpacer will alert you when 30 seconds has passed. You have 4 periods of 30 seconds within the average 2 minute cleaning cycle. Imagine breaking your mouth up into 4 sections. In section 1 you have your upper right teeth, section 2 your upper left, section 3 your lower right and section 4 your lower left. The idea is that you spend 30 seconds cleaning each section. As you get the alert, you move to the next section. By the end of the 2 minute clean, you should have cleaned all 4 sections and given an even clean to all of the teeth in your mouth. Our number 1 recommended brush, the Pro 2 2500, includes a quadpacer. How important is a pressure sensor? Certainly a nice to have, we believe it is an underrated feature and particularly useful to first time user. A common cause of gum recession is as a result of brushing too hard. Bristles of the brush need only skim the surface of the teeth and gums. Where you have gum recession, brushing too hard will also wear away the outermost surface of the tooth, causing what dentists call abrasion. Abrasion itself can cause sensitivity to hot and cold. You may be used to scrubbing with a manual toothbrush, but doing so with an electric toothbrush will do more harm than good. Scrubbing harder is not an effective way to remove plaque and debris from the teeth. You and many others may not have known this, because you have never been told or shown how to brush correctly. The pressure sensor alerts you via a change in brushing sensation, sound or light that you are brushing too hard. It is a gentle reminder to use a little less force and help you maintain a healthy smile. Our number 1 recommended brush, the Pro 2 2500, includes a pressure sensor. 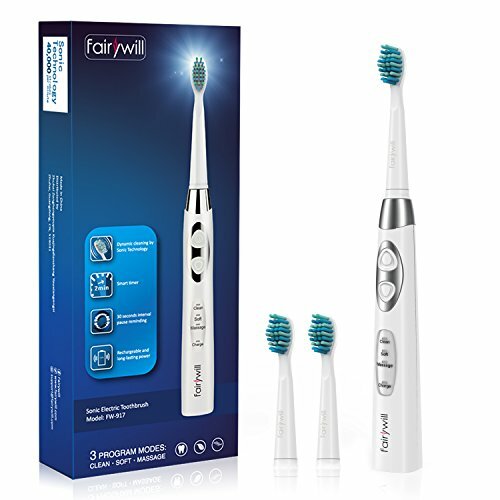 We also list other brushes in our post Which Electric Toothbrushes Have A Pressure Sensor? Price is not all that important. Our primary recommendation, the Pro 2 2500, is not that expensive compared to other brushes. Just because a brush is more expensive, it does not mean it is necessarily any better at cleaning your teeth. 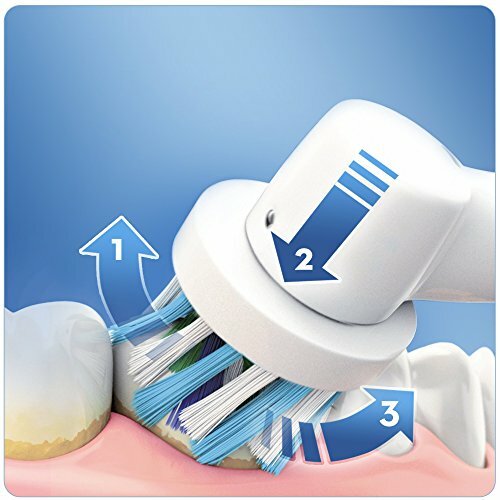 More important is regular brushing, with the correct technique for the right amount of time. Get these things right and even a £3 manual toothbrush will do a good job, but there are of course many more benefits to using an electric one. Battery life need not be a big part of your buying decision. Over recent years performance and usage time of batteries have gotten better. Most brushes are on par with each other, with an average of around 2 weeks use between charges. Typically the cheaper the brush the less battery life it offers but this isn’t always the case. If you do need a particularly long battery life, Philips Sonicare tend to be the best for this. The chart below shows the brushes with the best battery life (click to enlarge). How important is the cost of replacement brush heads? The cost of replacement heads can affect the long term ownership cost, so this may be something you wish to factor into your decision. Typically Oral-B brush heads are cheaper than Sonicare. It's recommended that you replace your brush head every 3 months, so if you follow that advice you'll need 4 brush heads a year. Official brush heads typically cost anywhere from about £3.50-£8 per brush head. This can be a lot of money when they will only be thrown away 3 months later, but you can save money by buying when there's a deal on or by buying in bulk. In most instances you have the choice of opting for a third party brush head. There may not be the same range of choice and the quality may be slightly inferior, but there are some great options at very good prices for both Sonicare and Oral-B. Do be aware of fakes/counterfeit brush heads which pose as genuine but are often not the real deal. If the price is too good to be true, it probably is. Is it useful to get a brush with a travel case included? Even if you are not a regular traveller, having a case makes it much easier to transport the toothbrush and the brush heads in. When in the case, the likelihood of damage — particularly to the bristles on the brush head — is reduced. There is also less chance of the brush accidentally being switched on. Any excess moisture and toothpaste in the heads remains in the case and not on anything else that might be in your bag; nobody likes toothpaste stains on their clothes! There are even certain models that come with travel cases that enable the brush to be charged from within the case — no need to mount on a charging stand. Ideal for regular travellers. We've recommended the Pro 2 2500 as our number one choice, which does include a case. If you're not bothered about a case, you could go for the Pro 2 2000 which is just the same as the Pro 2 2500 but isn’t supplied with a travel case. How important is a gum cleaning mode? This is not a mode that everyone needs, but if you are in the early stages of gum disease or experience sensitivity in the gums when brushing, you may find this mode helpful to ensure the gums become more tolerant to brushing and generally healthier. Gum cleaning mode is lower powered than the standard cleaning mode and moves the brush head less aggressively, but in a way that cleans and encourages blood flow in the gums. Having the mode available can act as a good reminder to brush the gums occasionally. How important is sensitive cleaning mode? Like gum cleaning mode, this is not a mode that everyone needs. The motor tends to move more slowly for a gentle but still effective bristle movement over the teeth and gums. It can be helpful if you have tender teeth and gums, and is particularly useful for those with gum disease or going through dental surgery. How important is a whitening mode? Certainly not a mode that is needed, whitening mode is normally just added time as part of the cleaning cycle, which allows for extra attention to be paid to those most noticeable front teeth. If you are particularly conscious about that perfect white smile, the changes in the bristle movement help buff the tooth surface to give it a shine. That being said, you should achieve similar results just from brushing your teeth properly twice a day with a regular cleaning mode. How important is a tongue cleaning mode? Remembering to clean your tongue in an important part of oral hygiene, but a dedicated mode for it is of low importance in the scheme of brush features — it's not worth spending extra money on. The tongue is home to lots of bacteria and is often one of the major causes behind bad breath. Cleaning the tongue after brushing, simply by dragging the brush head across it several times can really help freshen the mouth up and for some be a cure to bad breath. A tongue cleaning mode is just a shorter and lower-powered mode that is more convenient than others available on the brush. How important is brush head shape and size? If used correctly, all electric toothbrushes will deliver a more effective clean than a manual brush. It has been shown that small round brush heads such as those found on Oral-B toothbrushes can have a positive improvement on your oral health. However, the differences are not so significant that a smaller brush head is essential. You need to consider your mouth, for some a smaller brush head is important to reach certain parts of the mouth. More important than brush head size is adopting the right brushing technique. How useful are the smart features in the likes of the Genius 9000 and DiamondClean Smart? Smart features on offer today can be very useful, but they are far from essential and come at a premium price tag. If used properly, smart features such as real-time tracking in the Genius 9000 and DiamondClean Smart can train you to become better at cleaning your teeth and improve your oral healthcare routine. They can also add a certain convenience to the way in which we use and interact with the brush. Sonicare’s BrushSync brush head replacement reminder system is a great example of how technology can be used very effectively — it reminds you exactly when you need to replace the brush head. This is a luxury, though, and only worth paying for if you're shopping without a budget. Is it worth having Bluetooth? It is not essential and we would not encourage you to spend a lot more to get a brush with Bluetooth technology. You need to invest a little time to get the most from Bluetooth and that may include changing habits of a lifetime. In-built Bluetooth technology can send data about your brushing back to your smartphone. This data can then be used to help improve your brushing habits. However this does involve you making use of it and fitting it into your routine, so consider whether this is likely to happen before you spend extra cash on it. Further to the above FAQ, as part of our extensive hands-on testing of brushes we've tried to answer any of the questions you may have before and after buying. Browse the sections below for more information, and feel free to ask a question in the comments if there's anything we've missed. Is an electric toothbrush worth the investment? The increased efficiency with which they clean, the convenience they offer and the way in which they encourage you to brush for the right amount of time can certainly pay off. Whilst there is an initial purchase price, this is offset over time as you could have fewer or cheaper dental bills, not to mention healthier teeth and gums. Purchasing at a reasonable price helps to ensure the investment pays off. Our primary recommendation, the Pro 2 2500 is a great example of this — it includes the 'core' features we recommend having, but doesn't pile on unnecessary extras. The short answer is yes, electric is better than manual toothbrush when it comes to effectively cleaning your teeth. We will be the first to say a manual brush is adequate for daily teeth cleaning, but the clinical studies and trials show how an electric brush is better. The most important thing is that you brush your teeth with the right technique, for two minutes twice a day. When used correctly, an electric toothbrush does not damage the teeth or gums. Read more: Do Electric Toothbrushes Damage Teeth? Do electric toothbrushes cause gum recession? No, the toothbrush itself does not cause gum recession. Yes, they can help whiten teeth. However, no brush can whiten teeth beyond their natural whiteness. The regularity with which you clean, your diet, lifestyle and toothpaste can all have a bearing. Read more: Do Electric Toothbrushes Whiten Teeth? How long do electric toothbrushes last? The average life span is 3-5 years. Manufacturers normally offer a 2 year warranty should the brush fail sooner. Many brushes will last a lot longer and we know of many people still using toothbrushes that are 10 years old. Can you share an electric toothbrush? Although almost one in ten (9.7 percent) said they had shared a toothbrush (Oral Health Foundation, 2014) it is not advised. Bristles of the brush head can harbour bacteria and germs that can have a negative consequence on your health when shared. The interchangeable brush heads of an electric toothbrush make sharing a brush handle easier and possible. In fact we are advocates of sharing the handle (not the brush head) as it is a great way to keep ownership costs down and get extra value from your toothbrush. With few exceptions electric toothbrushes are designed in such a way that they can be rinsed under a tap for cleaning, wiped with a cloth and exposed to water. The vulnerable electronics are sealed inside the brush handle with measures in place to stop water from getting in. Different manufacturers have different advice and guidance on using in the shower, for example. At no point should the brush be submerged in water. How Do Silicone & Rubber Toothbrushes Compare To A Normal Toothbrush? As well as helping you before you buy a toothbrush, we'd also like to help you with any questions you may have once you do own one. Oral-B Coloured Rings: What Are They For? To really get to know electric toothbrushes inside-out, we've also written about some other topics that aren't necessarily part of the buying decision, but have still captivated us nonetheless. 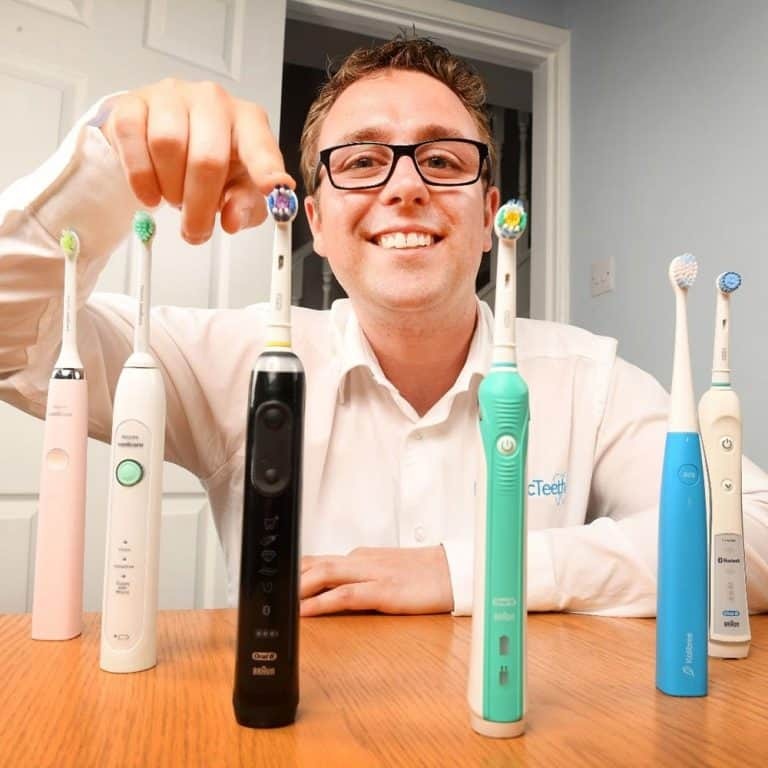 We've reviewed nearly all of the electric toothbrushes available in the UK. We've listed some of our most popular reviews below, or you can use the search box if there's a particular review you are looking for. You can also view a list of all of our electric toothbrush reviews here. As well as reviewing brushes, we also compare similar brushes side by side — some of which you may be comparing yourself as a toothbrush choice. Below you can find some of our most popular comparisons, or you can use the search box if there's a particular comparison you're interested in. You can also view a list of all of our comparisons here. Hi Jon, love the reviews! I live in Australia and the Oral-B Pro 2 2500N and the Smart 5 5000 are the same price (£40). The Genius 9000 is on sale for £63. Do these brushes all provide the same clean (i.e. same oscillations/strokes/movements)? If so, the best brush to get if I do not want the bluetooth functions would be the Smart 5 5000 (as it is newer than the Pro 2 2500)? The power of the Pro 2 2500 and Smart 5 5000 are the same, although the Genius 9000 is a little more powerful. Whilst the brushes have different cleaning modes, the basic cleaning action is the same on all models. Although the Genius 9000 is more powerful and can technically clean the teeth more effectively in reality the difference is very small given the Pro/Smart Series are already powerful. If you don’t want Bluetooth then there is little point going for the Smart or Genius Series really, despite them being at a very good price. Although the Smart 5 5000 did launch fractionally after the Pro 2 2500, it wasn’t long after, so the Pro 2 2500 is the brush to go for. I hope that helps, any questions, let me know. Will “12 Pack Braun Oral-B Precision Clean Electric Toothbrush Replacement Brush Heads” as seen at the link below fits into Oral-B Pro 2 2500N ? I don’t seem to see a link that you refer to, but, yes, the Oral-B Precision Clean brush heads will fit onto the Oral-B Pro 2 2500. And secondly, I just bought Oral-B Pro 2 2500. at Asda, two days ago. When I used it, I didn’t notice any sound at 30s interval. Is that a fault or it was me that didn’t get the change in sound? Yes they should work, but be mindful that they’re not the same as the official Oral-B ones. We have written about fake Oral-B brush heads here and third-party alternatives here in case you would like more info. With regards to the sound, it is easy to miss if you are not used to it and not listening out for it. After 30 seconds the motor will give a short burst and the head will start rotating in the opposite direction. What are the advantages of a sonic toothbrush over a standard electric one. I’ve been told by my dentist to use a sonic one to help prevent plaque…. true or false? I am not sure what you/your dentist mean by a ‘standard electric toothbrush’. I suspect this is a referral to a more tried and tested (recognised brand) electric toothbrush in comparison to a unknown, cheap electric brush. A toothbrush in itself does not prevent plaque. A toothbrush helps removes plaque more effectively. Sonic electric toothbrushes like those from Philips Sonicare and Oral-B are proven to be better at removing plaque than a manual brush, when used correctly. HI Jon, do you know if my Oral B pro 2000 brush heads will fit the new 2.2500 i am thinking of buying? Great website and videos many thanks for all your hard work and research you have put in. good luck for the future. I can confirm that the brush heads that fit to the Oral-B Pro 2000 will work with the new Pro 2 2500. All Oral-B brush heads are interchangeable. This means you can use any Oral-B head on any Oral-B brush handle. To find out more, you could take a look at our Oral-B brush heads explained article. I have a small hand and small mouth, and I find the cylindrical shape of electric brush handles very hard to manage. As it gets wet from toothpaste, saliva etc, it slips in my hand and I’ve bruised my mouth a couple of times. It must be possible to shape the handle a bit to make it easier to grip, but I’m not aware of any manufacturer who has addressed this problem yet. Surely I can’t be the only person with this problem? Some models like the Oral-B Vitality have a more tapered design to the handle (wider at top and slimmer at the bottom) which means they are not all slim and perfectly cylindrical. There is to the Oral-B Smart Series 6500, which is a little more angular in its design and far from perfectly cyclindrical. We will be in the future looking at toothbrushes that have different designs and cater to different user needs, particularly those with disabilities. Far from an elegant solution some wrap tape or elastic bands around the handles to thicken them up and make them more grippy and less rounded. The Oral-B 2000/2500 do sound like good value but Amazon reviews suggest quality control issues with the battery. Even excluding some reviews of possible defects, there are quite a few people suggesting that it will not hold a charge well after only a few months (needs recharging every day or two). Do you ever look at long-term battery capacity? Some people presumably look to replace their 5-10-year-old brush because the battery is getting annoying, and ending up in the same situation after only a couple of months would be very frustrating. Battery defects can occur but they are rare in the scheme of things now. You need to pay attention to when the review was placed on Amazon because they do something silly when updating brushes which means the reviews are not wholly accurate. Before the Pro 2 2500 was the Pro 2500. However when the Pro 2 2500 launched they just updated the older Pro 2500 product page. This means a large number of reviews actually relate to the older brush. The newer Pro 2 2500 has a new battery which uses a different technology and lasts twice as long between charges. As best as possible we test brushes over long periods. We have 3 people using the Pro 2 2500 for several months now without issue. We don’t run detailed scientific tests though. I’m aware of that strange policy they have. However, I’m not talking about how long it lasts between charges, but how long it continues meet that standard as it ages: e.g. it lasts two weeks between charges, but after the first couple of months this stops being the case and it needs charging every day. You would want and expect a lithium ion battery to continue to hold capacity for several years as it does in other consumer electronics. Both that complaint and total duds (needs charging every time from near the start, discharges itself dramatically whilst not being used, fails to recognise it is charge etc.) appear to be common reports, even in recent and verified reviews. I can’t speak first hand of having had any issues with the battery life failing/worsening withing a few months. I am sure some have, but the nature of electronic goods is some will sadly fail. All of our users are reporting good battery life. 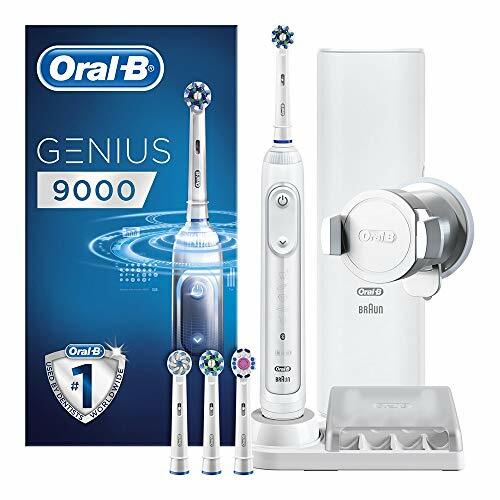 I personally have had an Oral-B Genius 9000 since the day it was launched and it continues to perform as well as it did the day it came out the box, it only ever goes on the charging stand when the brush is basically out of power. Should you buy a brush and notice an issue, the battery should be covered under warranty, which as standard is 2 years, but can be extended to 3 if you register the brush online after purchase. It would be interesting to see a “best ultrasonic” toothbrush (not a sonic toothbrush – see Wikipedia) since these are becoming quite popular. You are quite correct that there is a different type of brush, called ultrasonic, which we are aware of ourselves. We have not yet compiled a list of the ‘best ultrasonic brushes’ like we have for sonic brushes, because whilst popularity has increased in recent years, public awareness is actually relatively low. There is also the issue of availability. In the UK, few are available, whereas in some other markets, such as Germany, Russia and USA they are more commonplace. That said, we do highlight a few notable examples here, so hopefully this helps. Thanks for all the detailed info and reviews available in the website. 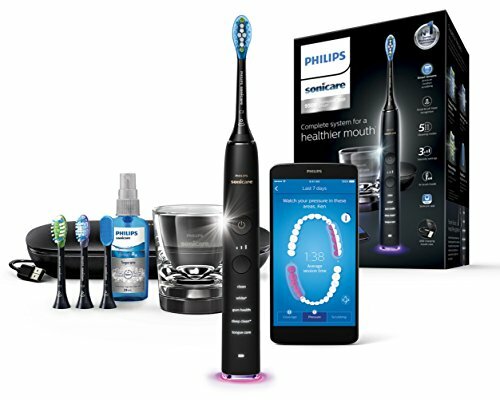 Initially I was thinking about buying a Sonicare toothbrush, especially because most of them are less noisy than the Oral-B ones (they seem to be really noisy), however given that it’s my first buy and the Philips products are quite expensive I decided to go for an Oral-B. As I have very sensitive teeth and gums I narrowed down my search to two cheaper models, the Pro 3000 and the Pro 2 2500. 1) The Pro 2 2500 like the other newer models has a Lithium Ion battery and so it’s lasting longer. 2) The Pro 3000 has an additional cleaning mode for sensitive teeth. However looking at your reviews (and cleaning mode guide) the difference between the “Gum Care” and “Sensitive” modes is quite unclear, they seem to be very similar. Do you know more about that? The options you have chosen seem sensible. Sonicare are much quieter, but as you say tend to command a premium price, so going for an Oral-B is perhaps a good option for your first brush. Gum care and sensitive cleaning modes are very similar in the speed of the brush head. To be honest, I cannot provide much more information aside from the speed. In my personal opinion they achieve a similar result. Both are more gentle than the standard cleaning mode. I do not suffer with sensitive teeth or have and gum conditions that would ultimately influence me to need the softer mode on a regular basis. There is little information that I am aware of that tells a deeper story about how they differ and achieve different results. I have not seen evidence (clinical studies) to show how significantly different they are in achieving different results from different users. If I were to make a sweeping generalisation, the sensitive mode is better for those who really do not like the extra power of the standard mode or are finding it harder to transition from manual to electric toothbrush. Because it is slower, everything is a bit softer. The gum cleaning mode is going to be the best at promoting better oral health, particularly as during the cleaning the speed of the brush head is changing, helping stimulate the gum tissues. If you have generally healthy teeth and gums, I would not worry too much and would of for the Pro 2 2500. 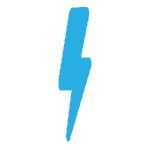 In the usa version of this web site you have a post about the best electric-toothbrushes and there you name some other ones as the best. Why this differnece? The list of best electric toothbrushes for the USA is different to the UK, because the models and pricing is different in each country. Some models that exist in the UK do not exist in the USA and vice versa. As a result we make a different list for each country to reflect what we feel really are the best in each market. If you need any extra help please let me know. Thanks so much for the recommendation and summary of differences! The units are within one USD ($40 vs $39) after clearance and coupons, so virtually identical. I’m sure either would be a great value at that price, but I was already leaning toward the Sonicare because they tend to be quieter and I had read the battery life was better. With Sonicare and Braun reconfiguring their line ups, I have the opportunity to buy either the Sonicare FlexCare Platinum Connected or Oral-B Pro 6000 Smart Series at a steep discount. In general, it seems that you tend to favor Oral-B as it offers a better value. However the closeout savings makes the difference in price negligible. Given this would you recommend the FlexCare Connected or 6000 Smart Series? Any key differences I should take in to account when making my decision? Without knowing exactly what prices you are able to buy each at then its hard to make exact comparisons, but I am presuming they are almost identically priced based on what you are saying. Based on this the Sonicare probably just wins. 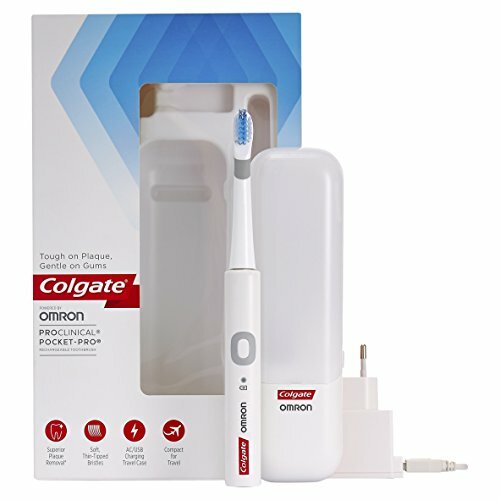 The Sonicare wins out from the Bluetooth connectivity, battery life and quality feel to the brush. It is also the newer model of the 2. The 6500 does normally offer good all-round value and the ongoing cost of replacement brush heads tends to be a bit cheaper. The 6500 also comes with a wireless smart guide which can be really handy. Oral-B’s battery life is not as good. This indeed could be another excellent contender, but is not one that is widely sold or made available in the UK or major European countries that I am aware of. They are on eBay in the UK. Most are from Hong Kong and China, but one seller is in Spain and one in UK in Bradford. Also check out Oclean One, it should be more available and is superior to X3 in most areas. Roman, why do you rate the Oclean? If a sonic toothbrush uses sound vibrations to clean plaque from teeth, why doesn’t that happen already when you talk? After all, the sound of your voice hits your teeth before it even leaves your mouth. How about if you talk louder, does that work? Should we spend extra time talking as well as brushing? Genuine scientific questions. I am no scientist Robert, but its all to do with the frequency of sound waves, the human voice does not create fast enough moving sound waves as I understand it to make such possible. Earlier in your article you mentioned about fake toothbrushes and that they can cause various injuries. Can’t even imagine what kind of a hurt can fake electric toothbrush cause. Can you please shed some light on this, Much thanks. It tends to be brush heads that are the problem. Fakes are made often from cheaper grade plastic with less strength and testing going into them. The plastics can snap/break and cut the gums and cheeks in some instances. Also poorly cut or formed bristles can do damage to the gum line. More information is available here on what to look for between real and fake heads. I saw your post and thought I would reply to you on your problem. The same thing happened to me a few months ago and my dentist said the same thing.. …Just leave it alone, he said it could create more problems by messing with it. Anyway just to reassure you I use the Pro 2000 and I give it an extra good clean and have had no further problems so far. Sorry to hear about your tooth troubles, but sounds like you are a bit lucky, in that its not giving you any trouble at the moment. Without you having specified any other essential requirements, my suggestion would be the Oral-B Pro 2000. Great value with 2 cleaning modes and a pressure sensor. It delivers more power than the cheaper models so you can be assured of a good clean. If you are brushing too hard you will then get a warning via the light on the back of the brush handle. You can read our full review of the 2000 here. I have sensitive gums and find a lot of electric toothbrushes too rough. (this includes several of the Oral B and Braun models) Also, I can’t stand the noise from most toothbrushes I’ve tried, and am keen to find something quieter. Any suggestions? Thanks for your comment and sorry to hear you are having trouble. 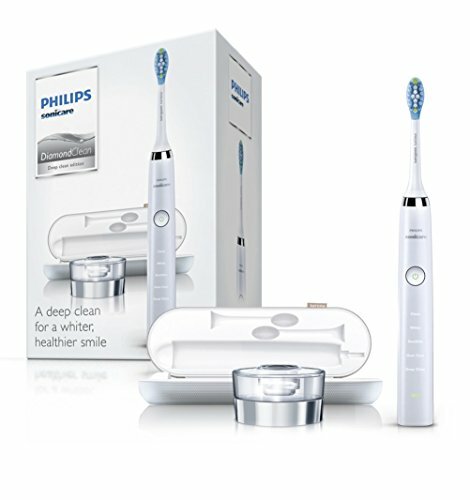 Have you tried any of the Philips Sonicare brushes? They are quieter and they also use different technology compared to the Oral-B brushes — sonic as opposed to oscillating-rotating. Out of those, the one we recommend for sensitive gums is the FlexCare+, which comes with or without a UV Sanitizer. You can view it here on Shavers.co.uk, which looks to be cheaper than Amazon at the moment. Philips Sonic tooth brushes purport to whiten teeth. Do they and do they whiten more than the Oral B range? The short answer is yes, they can whiten teeth, as can Oral-B. However, its not quite that simple. For the sake of example, an extreme example, if you were a smoker, who loved a glass of red wine, currently used a manual toothbrush and were perhaps not too regimented at cleaning twice a day then yes you would see improvement. If on the other hand you religiously brush your teeth twice a day for 2 minutes with an electric toothbrush already and floss then the likelihood of seeing noticeable improvement is less, if at all. Whitening is certainly possible but you may need to consider the toothpaste used, your approach and more. Both will remove more plaque and bacteria than a manual brush. I use a Pro 2000, and Oral -B sensitive whitening. Can I improve on that? My natural teeth are about half a shade darker than my bridge work and I would like them whiter. If you already follow a good cleaning routine and they haven’t whitened, using a brush and off the shelf whitening may not be enough. You may need to use whitening trays or get a professional whiten at the dentist. I have seen some in places such as Boots chemist, Are they advisable? can you recommend any in particular? Or is it best to have the dentist fit me for a tray? We haven’t actually tested any of these ourselves yet but we are planning to put together a guide over the next few months. A dentist’s fit is going to be more thorough but needless to say it’s more expensive. We have heard good things about Pola Night, but are yet to test. Oh thank you, I will wait and see what your guide comes up with. Are all electric toothbrushes the same power. Does one spin faster better than the other,if so how do you identify them and is there any benefit from having a more powerful motor? In short they do have different power delivery from the brush motors. However in the scheme of things this does not make a massive difference. The more powerful motor can deliver more brush strokes/movements than a less powerful motor. The most powerful motors are found on the more premium brush models. To some degree the more you spend the better the motor power. Those that vary most are the Oral-B range. The Pro 2000 has a more powerful motor than the Pro 600 for example. The Pro 3000, 4000 & 5000 share the same motor. The Pro 2000 is one of the most popular brushes. Hi, just bought the 9000 Genius. Here in Italy the best black friday offer on Amazon was 105 Euro, so still more than the price You have now in UK! I bought it on the advice of a dentist, who said that a toothbrush with at least 6000, but better 9000, movements per minute is necessary for a good cleaning. I thought naively that the number of the model – 6000/8000/9000 – corresponded to the number of movements per minute, but then I saw on Your site that it is not exactly that way. Futhermore, this information is not displayed on the official Oral-B site, nor in the manual, and it is not so easy to find on the web! So You say that this feature does not make big difference? And does 9000 Genius have the same motor than the 8000 and 6000? To be fair, at €105 that is still not a bad price for the Genius 9000. Your dentist was giving some good advice, but the movements in the brush head does not correlate to the name of the brush or at least this is how we understand it. This information is hard to find and we only obtained it from speaking to an Oral-B representative and asking specifically for this information. To be honest it is something that is not really publicised or many ask for. I believe this to be, because the speed of the electric brush motors are a significant step up over a manual brush and whilst motors do vary, the actual difference they make can be very hard to actually tell unless analysed very closely over time. I have tested many brushes over the last few years. Can I really tell the difference between a brush with 20,000 or 40,000 movements? Yes initially, but after a few days it is forgotten about, because brush with 20,000 movements is still excellent and cleans well. Other factors come into play too. You can have the best brush with the most powerful motor, but if you don’t use the correct technique, the benefits are somewhat lost. The motors in the Genius 8000, 9000 and Smart 6 6000 are the same to our knowledge. It might only have been a few days, but how are you finding the Genius 9000? Thanks for the exellent and quick answer. Yes, it’s really too early to talk about it, I have used it only a couple of days! But I will come back after a month of use to tell You! Quite a good summary, but, why would anyone want a toothbrush with wifi and bluetooth? This is really for people without common sense, a commodity in short supply it appears. The Oral B Pro 2000, besides being the best all rounder out there, also has two settings, with a normal brushing and a Gum cleaning setting which you omitted to mention. The Oral B Pro 6500 is for people with more money than sense. I suppose that the wi-fi toothbrush can tell you that your kids are brushing their teeth without you going to check that they are. There may also be a “gamification” factor where they earn rewards – or you do – for proper brushing. And I think I read about one brush that includes Internet music streaming. That’s a new twist on sonic brush technology… it might even work. Very informative unbiased reading, thank you. But, I’m a bit confused. I nearly purchased the Oral B Pro 6500. Your link took me to amazon to a oral b pro cross action 650 for £44.20. What is this in the equation? Hi Alison. Ahh, no that was not the plan! I shall get that link fixed. Thanks for bringing to my attention.